What Cities Are Best for Eco-tourism? The world is a beautiful expanse of gorgeous scenery. And we want to see it all. But unfortunately, as much as tourism has done wonders for the economic growth of a town, city or country, it has also done enough damage. People go about and behave callously in foreign lands. And their one little act has — over a period of time – resulted in the degradation of planet Earth. Our planet is suffering and it’s high time that we assume responsibility for it. We should act as responsible dwellers of this planet and not just identify with our particular homeland. We cannot go about messing around with nature when we are traveling. In fact, we should be twice as careful as we would be at home. Keeping that thought in mind, I bring to you the cleanest cities in the world that you must explore. And, understand why it is absolutely necessary to keep our cities tidy for us to have healthy living conditions and that of Earth. Once you step in to these cities, you realize in an instant the significance of cleanliness and how much it aids to the longevity and beauty of a place and our planet. So, pack your bags, book a cheap flights to some of the cleanest cities in the world and swear to your own self that you’d be a responsible traveler and encourage others to be the same. 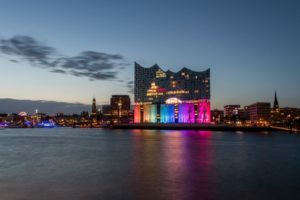 Hamburg is gaining popularity off lately as one of the hottest travel destinations. And it’s not hard to see why. Well, as a port city, Hamburg has always had good international relations with the world outside. And therefore, there is a lot of diversity in terms of about everything. Hamburg suffered greatly during both the World Wars and was in ruins for most of the part. Later on, it went through a transformation, which is why you’d find a good blend of the old and the new. The city also has a credible nightlife which lets you party like never before. While all of this is great, what’s amazing about Hamburg is that it’s the cleanest city you will ever see. It has also made a promise to bring down emission levels by 80% till 2050. That says a lot about the city, doesn’t it? 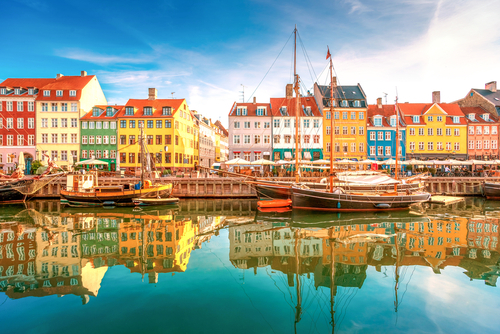 A city by the sea, Copenhagen is a visual treat to the eyes. Its colorful façade and cultural demeanor are admirable. The gastronomical reputation is far ahead of other cities in the world and shopping is great too. As you explore the city, you’d notice that bikes are the way to go about in Copenhagen. The waters of the harbor is clean enough for you to swim through it without having to worry about the pollutants. Because it has none! The vibrant vibes of the Danes is infectious. All of this could be credited for its crystal clean environs. It sends across such a happy feeling that you will never stop raving about how gorgeously clean the city is in all its charm. Book cheap airline tickets to Copenhagen and let this splendid city win you over for life with its rare beauty. 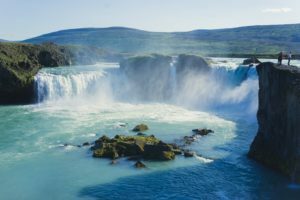 Iceland is one of those few countries that is clean in its entirety. It has an unscathed beauty which is matchless and otherworldly. It has such a diverse landscape that you’d be able to see almost everything within the geographical boundaries of one country. And the capital of Iceland — Reykjavik — has it all. Just one glance is enough for the city to leave a lasting impression on you. You can see mammoth sized glaciers, enigmatic hot water springs, enchanting waterfalls, and rare to spot wildlife. But the complete standout is its clean environment. There is no speck of pollution so much so that you can drink straight out of the streams to quench your thirst. 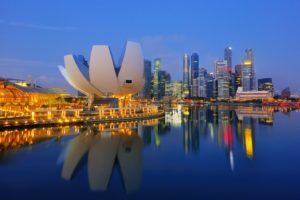 Singapore is that bona fide Asian city-state that appeases all kinds of travelers. It has an urban appeal as well as a nature’s demure. The cultural persona of Singapore introduces you to lively festivals, colorful traditions and delicious cuisines. The city has always something going on. So, as a visitor, you’d never run out of activities to do or attractions to explore. The city-state is often applauded for being one of the cleanest cities in the world all the while accommodating hordes of tourists all-round the year. How? Well, the government has laid out some strict rules for its residents and visitors to maintain the cleanliness. Therefore, you’d be taking the law in to your own hands if you did anything to break any of the rules and regulations in the Lion City. 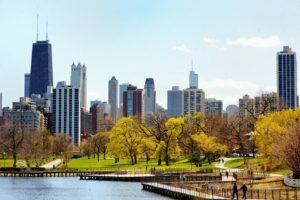 The Windy City gets it right with its sky piercing buildings, its lakefront vistas, delish deep dish pizza, the tunes of the blues, and its celebrated art and culture. Events and festivals are a usual part of the life of the natives. And they celebrate it with all pomp and show. The neighborhoods of Chicago are scenic and happening as well. Therefore, there is never ever going to be a dull moment during your stay in the city. And, what is worth noticing about Chicago is that it’s very clean. The streets do not have any hint of dust or garbage and everything is prim and proper. The city is scarcely polluted. So, you will be breathing the freshest of air even amidst an alleyway with just tall buildings and no greenery around. Hop on a last minute flight to Chicago and let the neatness of this city blow you away.